← Is Anji White Tea a Green Tea? Gunpowder Green Tea is a peculiar name to give a tea. There are a lot of misconceptions surrounding the name of this tea. A common misconception is the belief that this tea contains Gunpowder or it is derived from it. This could not be further from the truth. Legend has it that the name of this pearl tea came from sailor’s and soldier’s belief that it resembled the gunpowder in their ammunition. There is therefore no need to be alarmed. This tea is as natural as can be. The style of this tea originated in China in Zhejiang province. Here, the tea is known as Zhu Cha and pearl tea. 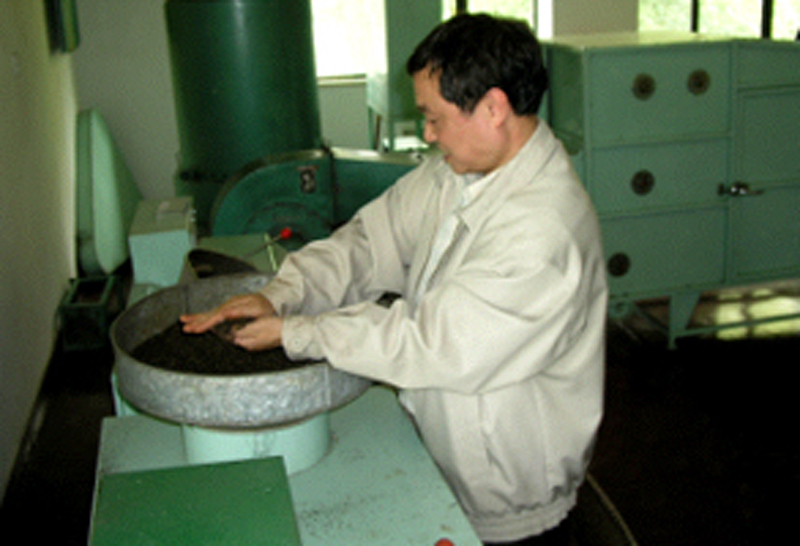 Gunpowder Green Tea is prepared through the process of heat drying. Today’s heat drying processes are the ones that make it to have a pellet-like shape. In the past, gunpowder used to be prepared by rolling it manually. This is what made the tea pellets resemble gun powder. However, today, gunpowder is prepared using machines. The rule of thumbs when selecting this tea is to go for shimmery pellets. These indicate that tender and younger leaves were used in the tea making process. The main production areas of this tea are Sri Lanka, Taiwan and China. However, the tea is normally exported to many parts of the world. It is particularly a common ingredient in some Moroccan teas where it is combined with spearmint and peppermint leaves to boost the flavor. Gunpowder green tea on its own has a rather strong and masculine taste that is not for everyone. The tea is quite astringent and normally has a sweet taste towards the finish. It might take some getting used to before you fall completely in love with this pearl tea. One thing that differentiates Gunpowder from other green teas is the fact that it has a honey-amber rich color. The color is one of the things that gives you a hint of the different flavors making up this tea. 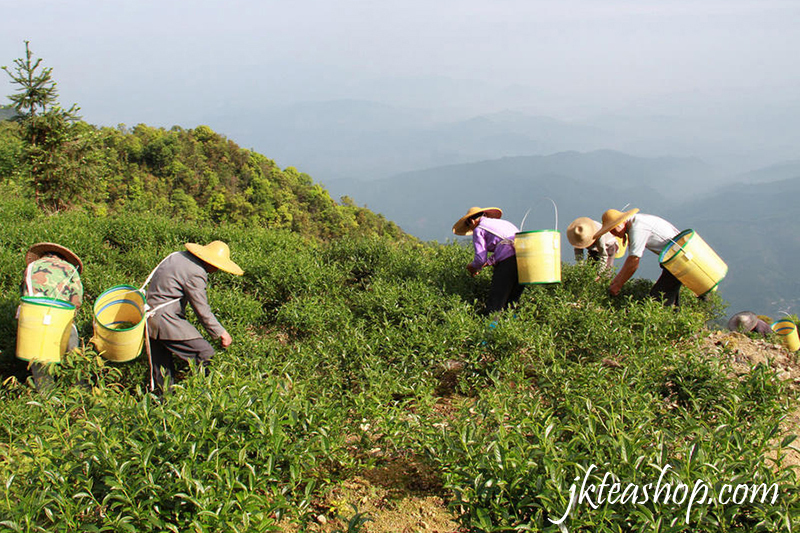 The picking time and picking standard of Gunpowder green tea is a great determinant of the quality of tea you end up with. The picking standards for this type of tea are very strict. Two leaves and a bud of approximately 1.18″ in length should be picked. You should also ensure that they have a neat presentation. The quality of this tea is normally highest in the months of April and May. 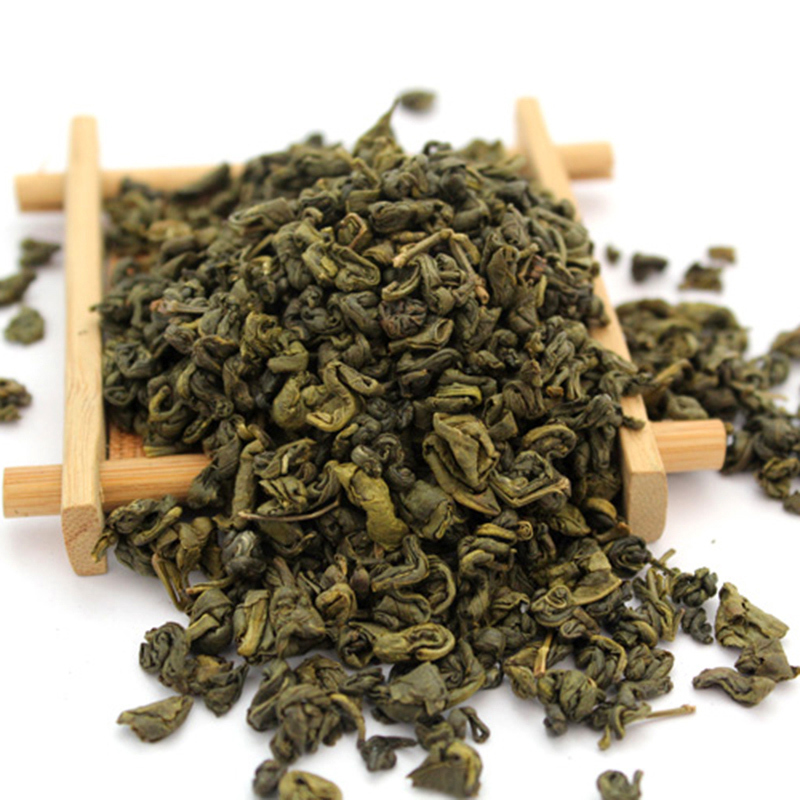 This is therefore the best picking time for gunpowder green tea. It is very important to give the responsibility of plucking to highly experienced individuals. This is important because torn leaves tend to complicate the rolling process. After picking, the leaves are normally steamed and rolled. Withering upon plucking tea leave from the tree, they naturally begin to wilt. This process is normally referred to as withering. When the tea is taken to the production plant however, it is the tea producer who controls the withering process. The importance of controlling this process is in order for the producer to lower the leaves’ moisture content to an acceptable level which allows formation of desirable flavor and aroma in the end product. To do this, the tea producer must monitor the temperatures, air flow and humidity of the leaves. Once the desired moisture content has been achieved, the withering process is considered complete. 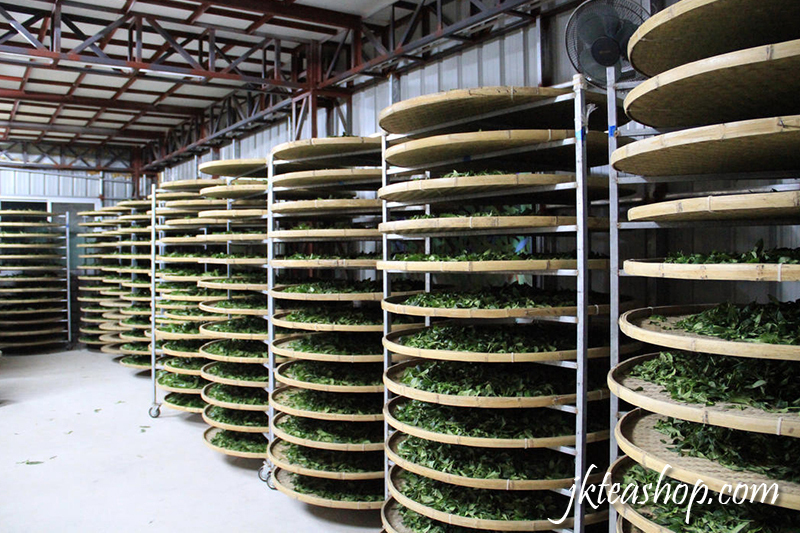 Steaming is a very important step in production of gunpowder green tea. The process basically involves cooking of the tea leaves using steam as fast and as evenly as possible. The aim of steaming is to prevent further enzymatic activities from taking place in order to make the shaping process easier. 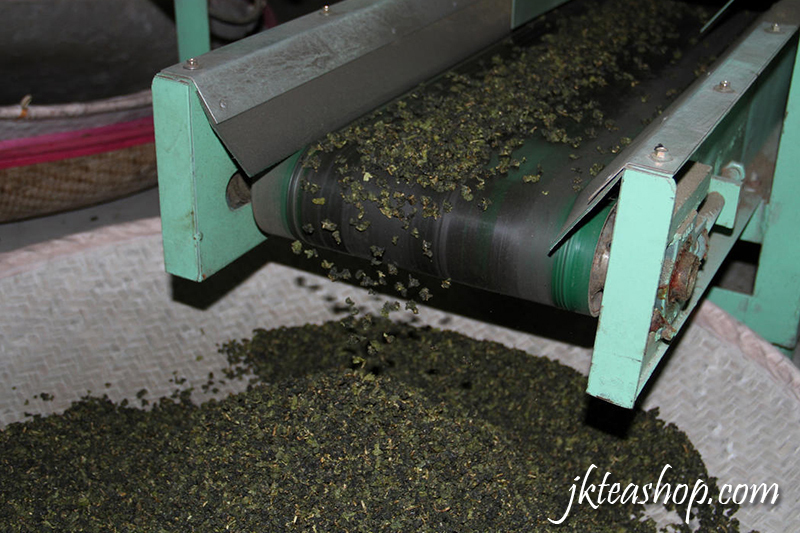 The final step of making gunpowder green tea is rolling the leaves into pellet like shape. In the past, this was done manually. 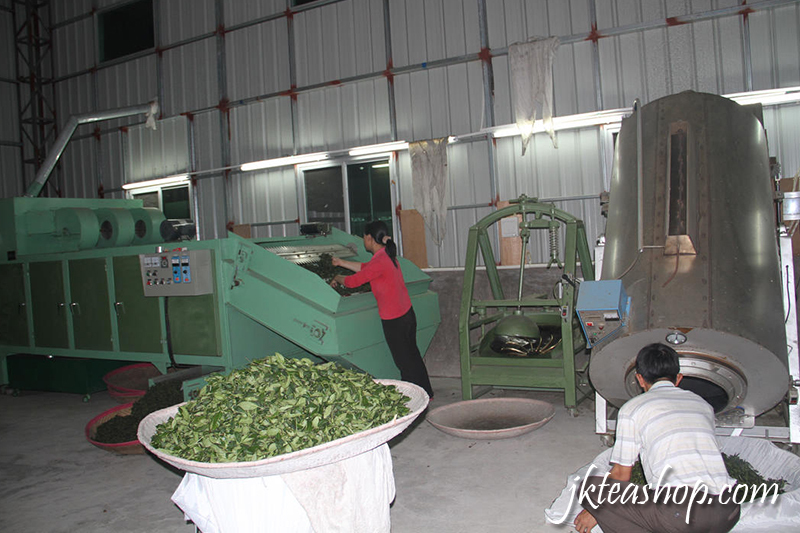 However, today, the rolling is done using special machines which are able to work on different types of tea leaves. High quality pellets ought to be small in size and tightly rolled. After rolling, the tea is normally ready for brewing. In conclusion, gunpowder green tea is a great tea with numerous health benefits. It is easy to prepare and you can tweak the flavor by adding peppermint, honey or any other ingredient you desire. If you haven’t tried it make sure you do, you will truly appreciate its unique flavor.